It’s hard crowdfunding games as a Nintendo fan. You wouldn’t think there would be any correlation, but I’ve found a consistent pattern that whenever a game gets crowdfunded for a Nintendo console, those versions of the game always come out last. This could be because Nintendo’s systems are harder to port games to, or it could be because getting NoA’s permission to bring a game to their console is prohibitive, but whatever the reason, there’s always a long wait involved. That means that years after backing a game and watching it come out on all other consoles, I’ll be not so patiently waiting for it to come to my 3DS, Wii U or Switch. Today, that game is Hive Jump. 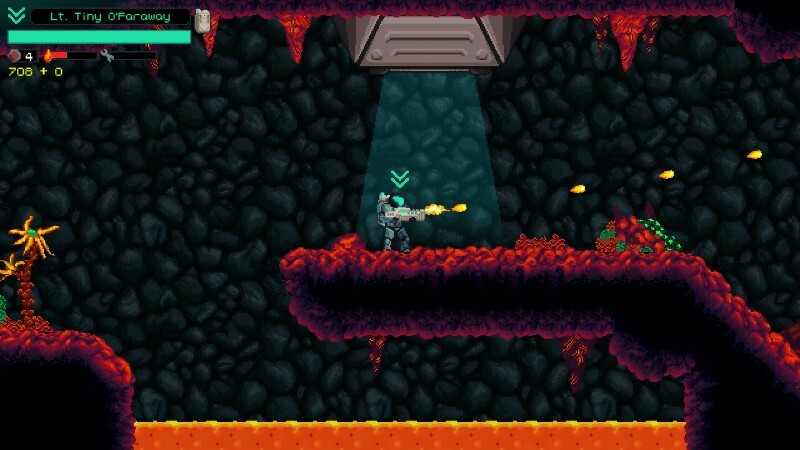 Successfully funded back in 2014, 3 years later Hive Jump has finally found its way to my Wii U. Offering a different version of the game experience catered to Nintendo’s awkward console, was it worth the wait? 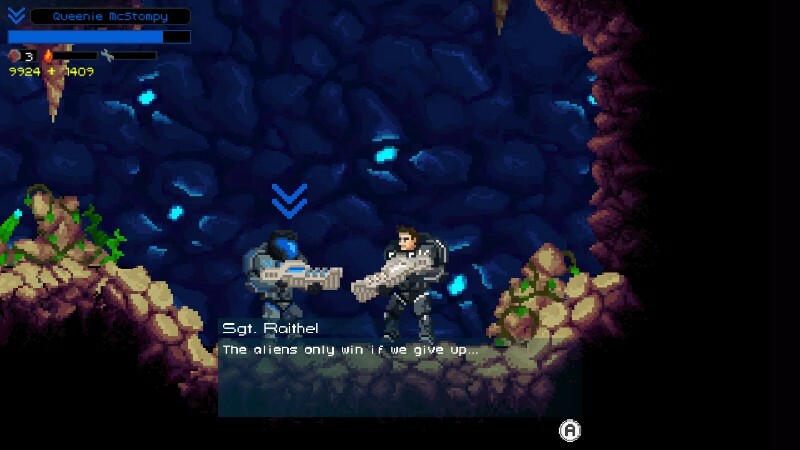 While oprainfall did preview Hive Jump on Steam back in April, there are some noteworthy differences in the Wii U build. First let’s get one thing out of the way — there is no online multiplayer in this version of the game. Initially that factor didn’t bother me (more on that later), mostly because I was delighted to see Graphite Lab stick to their promise of bringing Hive Jump to the Wii U. Though there is the concession of local co-op, I personally was unable to try that aspect of the game out. Instead, I focused primarily on the Wii U Campaign mode. This single player mode is a mixture of the base Hive Jump experience and a somewhat vague tower defense mechanic. 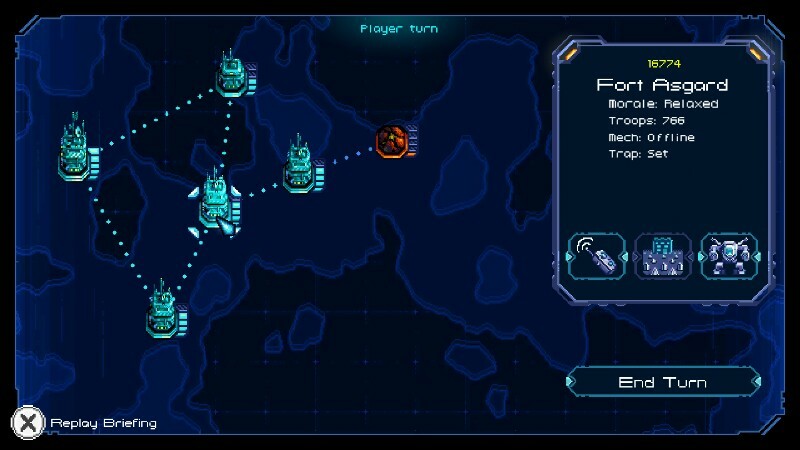 I say it’s vague for the simple reason that there is no tutorial explaining how the tower defense works. There’s one for the combat, which is very helpful, but I was a bit at a loss when I started playing Campaign mode. More than once, while trying to enter a Hive, I accidentally replayed the lengthy opening monologue. I was also totally unaware that I could upgrade my forts to increase their durability against filthy bug assaults and protect them from being infiltrated. I also didn’t realize I was supposed to either spend Goo to initiate a tactical maneuver, such as psychically scanning the Hive strength, or simply end my turn, allowing the Ordovician menace to attack the nearest human outposts. Once that happens, you’re given the option to jump the nearest Hive, which is the meat of the experience. 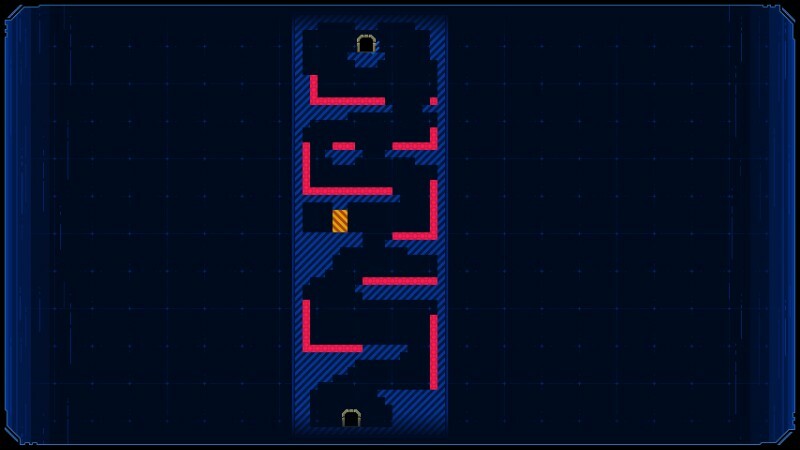 I like the idea of a Tower Defense, but it’s pretty barebones here. The basic loop of the Hive Jump experience is pretty fun and addictive. Your goal is to enter a Hive, blast your way through hordes of Ordovician foes, and eventually face off against a giant boss. 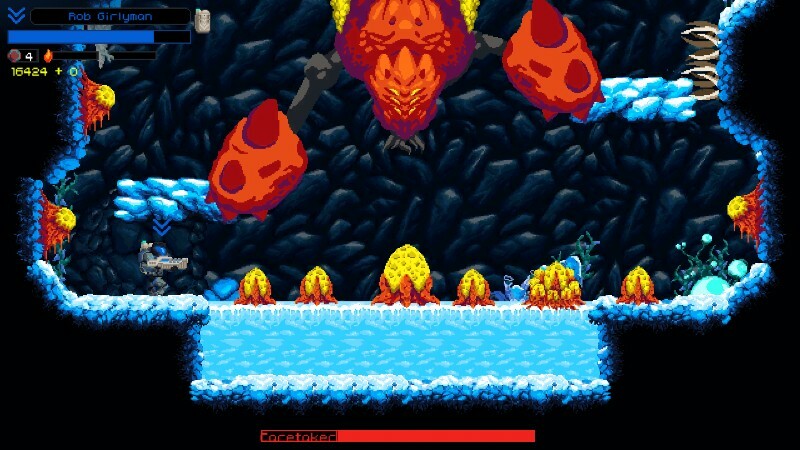 Some Hives are larger, and feature multiple bosses and many floors. 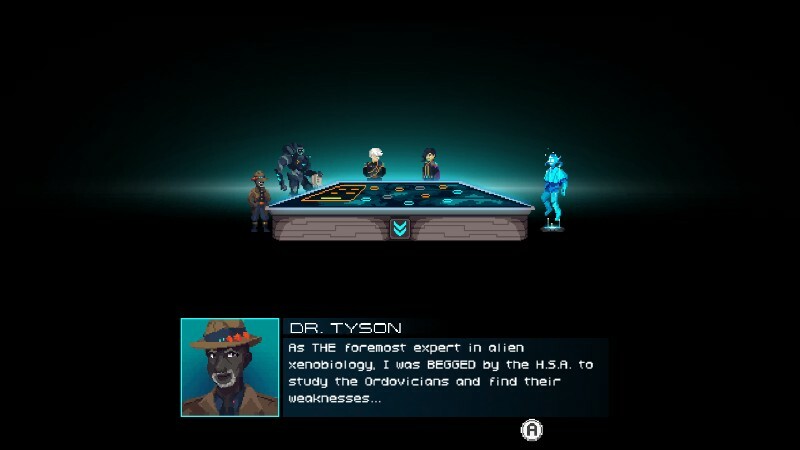 The map will be revealed on the Gamepad as you explore, which is a nice touch for this particular version. While Hives are procedurally generated, there’s only a small handful of variations you’ll encounter. I wish there was more variety, as in Campaign mode I just essentially played the same three to four types of Hives over and over until I got to the Queen (mostly fire, ice and fungus). Though they look different, most hives pretty much play the same, other than offering some gimmick to mix things up, such as giant mushrooms you can bounce off of, or dangerous pools of lava and acid. This might sound pretty basic, but Hive Jump manages to mix things up with the smart upgrade system. Blast that nest before it spawns more Ordovicians! Every time you blast a bug to smithereens, they’ll erupt in a shower of yellow Goo. This isn’t just to gross you out — Goo is the key item used to upgrade your weapons! 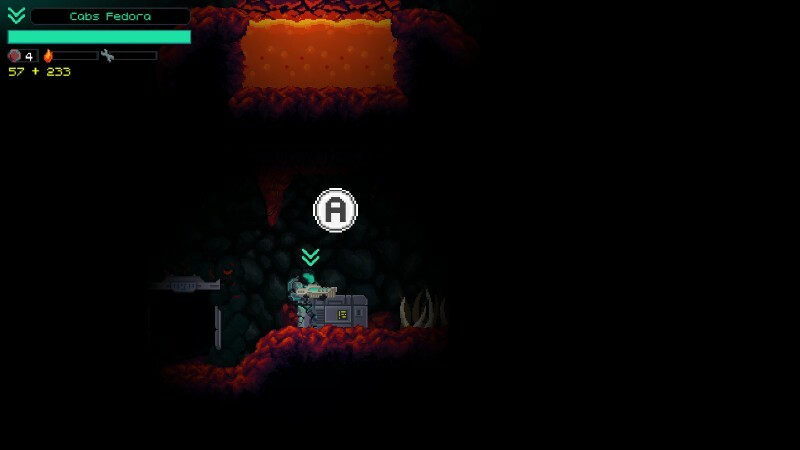 Both before jumping a Hive and during checkpoints between sections, you can spend Goo to unlock and upgrade a wide variety of Rifles, Grenades and Utility items. Though I unlocked a couple of Rifles such as Flamethrowers, I really preferred the starting Pulse Rounds, since they fired quickly and when upgraded could penetrate Ordovician shells with ease. As for Grenades, I quickly became fond of the ones that emitted a poison cloud, doing massive damage to hordes of foes and melting them to slag. The Utility items are quite varied, ranging from explosive teleportation from your Transponder Backpack to a healing Rejuvenation Field. There’s a ton of stuff you can unlock to cater the experience to your preferences, and that’s one of the strongest aspects of the game. 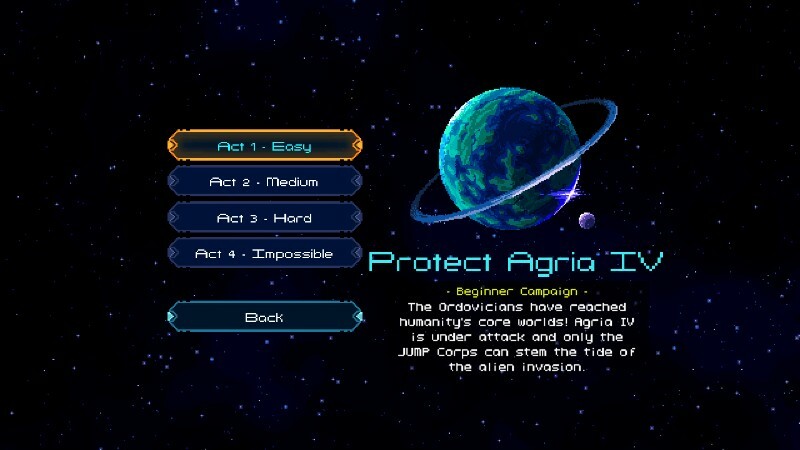 Hearkening back to movies such as Starship Troopers, in Hive Jump, there is no sole hero. Instead, you control a steady stream of disposable grunts who come equipped with whatever loadout you prefer. While their names will change, they are all essentially faceless avatars, which makes it easier to part with them on such a regular basis. You see, the goal isn’t to protect your character, but to protect their Transponder Backpack. This allows a new grunt to be teleported into the battle, and your job is to protect it. The tricky part is, whenever your character is killed, your Backpack will be defenseless for a few panicky seconds. You can float it around with the joystick, but that’s it. Enemies can and will mercilessly attack it in the hope of extinguishing the human threat. So while the individual humans don’t matter, it’s important not to keep dying foolishly. To aid you in staying alive, there are a variety of random Perks you can unlock each time you assault a Hive. These can be found one of two ways — either in a chest you find while exploring a Hive, or in a special challenge room. The latter is far more common, and often is a sort of platforming challenge you have to successfully navigate. These range from jumping over pools of acid to avoiding deadly ceiling icicles to nimbly leaping around a room full of instant death spikes. Thankfully the challenge rooms don’t include actual enemies, but you need to be careful, as death often lurks in the most surprising corners. Once you beat a challenge room or luck into finding a chest, you’ll get a random Perk, such as reduced knockback, Backpack healing, protection from acid and much more. My only problem with the Perks is that they’re temporary, only lasting in the Hive you discover them, and they are also totally random. Maybe I was just suffering from bad RNG in my runs, but often I would get the same Perk twice in one Hive, and usually it would be one I didn’t really need. I wish there was a way you could have spent Goo to unlock permanent, weaker Perks that you could swap out to further improve the experience. Open that chest for a handy Perk! The most terrifying parts of the game aren’t actually the intense boss fights, but instead when the Hive swarms against you. This is often triggered by methodically annihilating Ordovician nests, which stops them from throwing more bugs at you. I often would feel compelled to wipe out any nest in my path, but this can be very dangerous. When a swarm is agitated, things get beyond hectic, as every enemy in the area will come flying at you. It’s a bit frustrating that every foe knows the layout of the procedurally generated map whereas you only discover it as you go. They’ll come at you no matter where you hide, so you either run or wipe them all out until the swarm ends. This is where I learned the disadvantage of your Rifle’s cooldown period. You see, while you do have unlimited ammo with every Rifle, they tend to overheat when you keep firing them. When that happens, you won’t be able to fire a single bullet until they cool down, which only takes seconds, but which feels like an eternity if you’re being attacked. While this was frustrating, I did eventually get better at timing my shots and not overdoing it by jamming down the fire button. Having said that, you’ll often want to do just that when facing a particularly nasty boss. 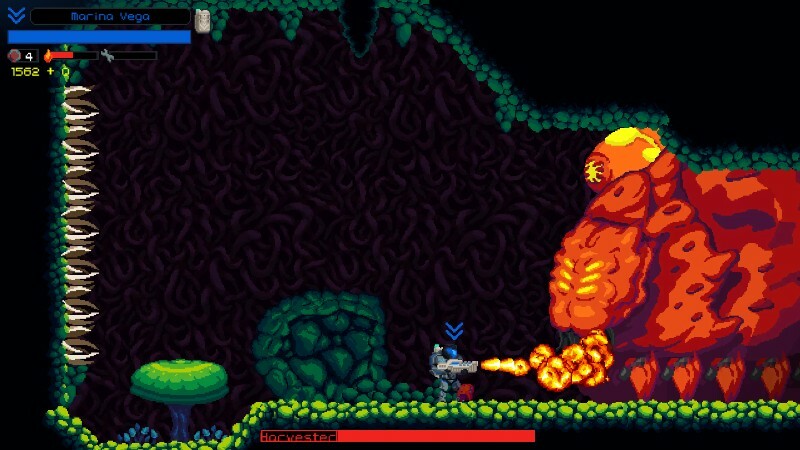 Speaking of bosses, there are a few in Hive Jump, and they are all dangerous, varied and huge. Generally they take up a large chunk of the screen, and will wail on you with a variety of attacks. If that wasn’t enough, each and every boss can and will summon more grunt Ordovicians to fight you. This was a bit frustrating for me, not because these minor foes were too powerful, but because it could be overwhelming, especially since they would teleport in randomly. While I did enjoy most of the bosses, and felt they all offered a distinct challenge, I could have done without the horde of minor foes. That said, of all the bosses, only a couple felt genuinely frustrating. Overall, they were pleasant reminders of games such as Contra. The control scheme is well optimized in Hive Jump, despite sounding a bit odd. Primary controls are relegated to shoulder buttons, ZL and ZR for jump and fire respectively, while the L and R buttons control your Grenades and Utility (which also has a cooldown period). The right joystick is used to aim your Rifle. I thought I would dislike this setup, but it really works well, especially since the minimap is proudly displayed on the Gamepad screen. Frankly, seeing the Gamepad used so well here makes me wish other developers, indie and AAA alike, would have made more of an effort to support the Wii U console. Your handy dandy mini map. 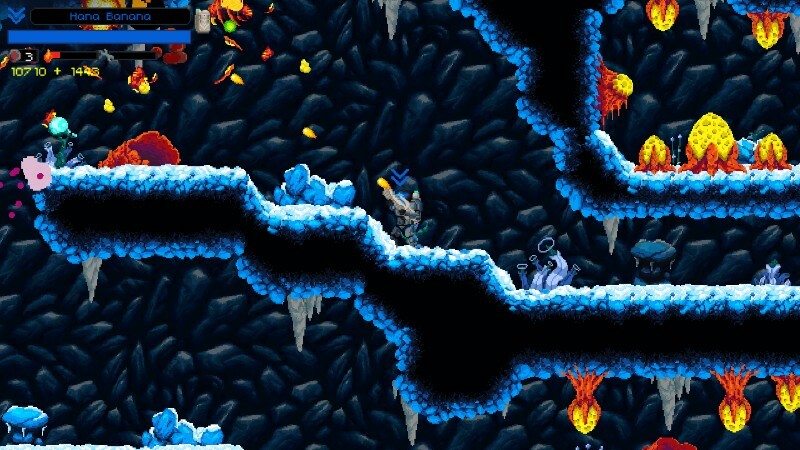 On the visual side of things, I really like the pixel art in Hive Jump. It’s punchy and vibrant, and although there’s not a huge variety of environments, they’re all well drawn. My one complaint with regard to the art is the Ordovicians. Don’t get me wrong, they are all delightfully monstrous, but I wish their color palette was a bit more varied. Most are orange and red, only a few varying the color scheme. That made them mostly look a bit samey, despite differences such as size and other factors like wings. The music is simple and keeps you motivated, and each environment sounds a little different. I was a bit surprised by the music going out a couple times when the action got really frantic, and another time the sound of my Rifle firing was totally mute. Which brings me to my next section, the glitches. Let me preface this by saying the guys at Graphite Lab are all very friendly and went out of their way to accommodate me. Having said that, I did encounter a number of glitches in my experience that I feel obligated to mention. A couple times the game utterly froze, emitting a loud, shrill tone, forcing me to manually turn off my system by holding the power for 10 seconds. Other times, I fell through the floor in an ice Hive, though luckily the game seemed to anticipate that and warped me back to the starting point. I’m not sure if this last one was an actual glitch or not, but a few times when I was attacked by Ordovicians, my Transponder Backpack went flying, and I had to rush to retrieve it. While I have it on good authority the team is working on fixing these glitches, as of the time of this writing, they are still unresolved. In total, I spent about four hours playing Hive Jump, with most of that spent in Campaign. I also briefly tried out Arcade on easy, which seemed easier than Campaign at first but then the bosses utterly destroyed me. In fact, a boss I had no problems with in Campaign was suddenly a beast in Arcade. While the game is fun solo, I truly feel it was meant to be played with friends. It’s just too easy to get overwhelmed by the hordes of Ordovicians. So if you don’t have a bunch of friends who can crash and play on your couch, the game is much harder than it needs to be. 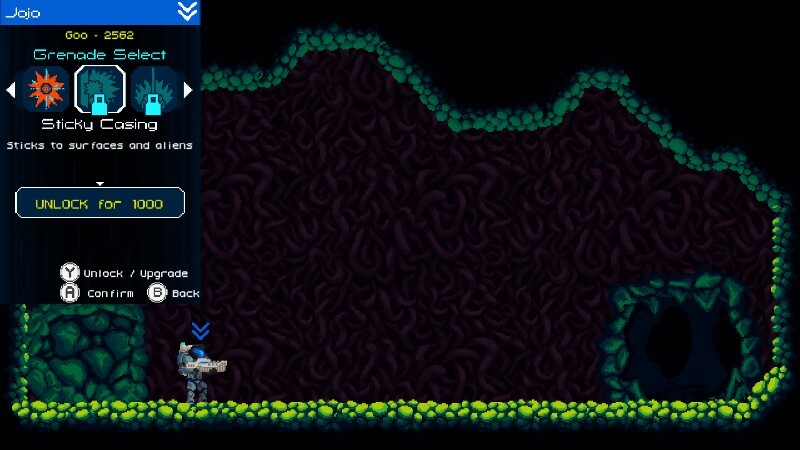 And regarding the glitches, while not the worst thing, the Wii U version of Hive Jump can’t be its best while they persist. 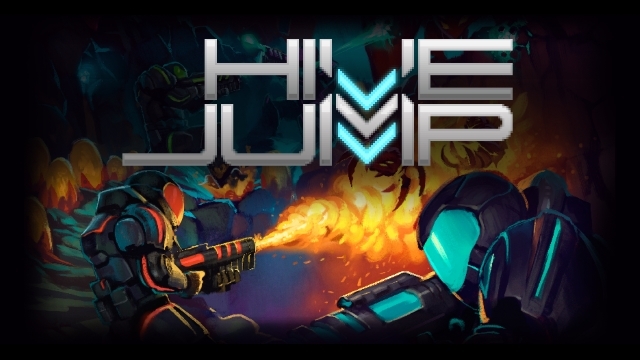 That said, for $14.99, Hive Jump is a fun, if flawed, experience. I’m glad I was finally able to play it on the console I backed it on, and I’m happy that Graphite Lab is making such a concerted effort to make the best game they can. I only hope the Wii U build gets patched soon, so Nintendo fans can enjoy it to the fullest.